Superb Care Inc., is located in Broward County, Florida and offers Non-Medical Home Care. We have decided to start some packages which include care services in the home for your pleasure. Getting old at home is a very nice thing; you would however need some assistance. Our professional and kind caregivers are willing to help you as you age. Please contact our Non-Medical Home Care Agency in Sunrise, Florida today at 1866-7-SUPERB to learn more and schedule a free in home care assessment. 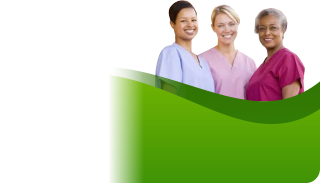 The Nurse Aide(s) of Superb Care Inc are certified and will help you with your medication reminders, breakfast, shower or bedside bath as well as getting out of bed. The Nurse Aide(s) of Superb Care Inc are certified and will get to your house and help you to enter and come out of the car, follow you to luncheon, pharmacy, hair salon, Walmart and the local supermarket amongst others. The expert assistant will also help you move your goods to the car as well as help you unpack the goods when you get back home. The Nurse Aide(s) of Superb Care Inc are certified and have the ability to help you with care requests that are unexpected. Our learned caregiver can care for your dad or mom when you have appointments to meet. You can drop your normal routine and the caregiver will adapt to it so that your loved one does not get disrupted or confused. If you or your loved one is just being discharged from the hospital due to a surgery or an ailment and you need help while convalescing, our certified Nurse Aide(s) at Superb Care Inc have the ability to help you. We can come to the hospital to get you and your things, go to the local drug store to get your medications, get particular diet foods and go to supermarkets amongst others. Our nurses can understand when you need to take your drugs and which you should take and in what quantity based on the medical professionals orders. This is a flexible service as you have the opportunity to reduce the period as you begin to get strength to do some things on your own. A personalized service plan for home care will be specially created for your needs and conditions. Certified Nurse Aide(s) at Superb Care Inc will help your loved one or you to age gracefully in your house by keeping them company. They help to encourage good nutrition, safety and independence while offering care for you or your loved ones. We also cater for their needs including light housekeeping, errands and companionship. Certified Nurse Aide(s) at Superb Care Inc will be in the house of your parents at every time of day for every day of the week. We help them as they age gracefully in the house. We offer personal care while making sure they eat well, are safe and are independence. Based on requests, we help with light housekeeping, errands and companions. Reach us today on 1866-7-SUPERB for information on Home Non-Medical Home Care in the Broward County, Florida.